The use of cereal microgreens is increasing because of increased consumer’s interest in healthier products. Chlorophyll (Chl) and Carotenoids (Car) are suggested to correlate with health promoting components like phenolics and antioxidant potential of the plant-part. They also play role against clinical conditions like thalassemia and hemolytic anemia and reduce the risk of some chronic diseases, such as cancer, cardiovascular diseases, skin diseases and age-related eye diseases. This study was carried out for the comprehensive profiling of Chl and Car in wheat (Triticum aestivum L.), and barley (Hordeum vulgare L.) micro-greens between 7 and 16 days on dry basis. Chl and Car content strongly correlated with the number of days of growth. Significantly high correlations existed among Chl a, Chl b, total Chl and total Car with concomitant Chl a/b and Chl/Car ratios. The peaks for the rate of accumulation of pigments were between 7–10 days on wheat and 10–13 days on barley. The maximum content of Chl and Car were 616.63 ± 18.45 mg/100 g DM and 54.80 ± 1.72 mg/100 g DM on day 16 and statistically not significant to variety of grain. The Chl level was slightly lower than Chl rich vegetables like kale and comparable to spinach and Car level was comparable to carrots, which is higher than most of the daily consumable fruits and vegetables. Further cell-based or in vivo studies of cereal microgreens could be considered to draw more valuable information related to human health. 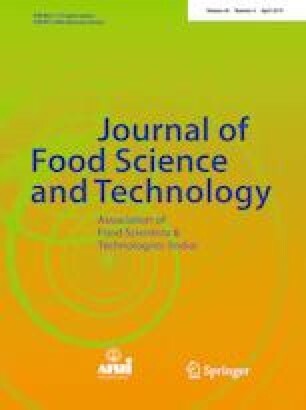 Authors would like to thank National College of Food Science and Technology (NCFST), Tribhuvan University, Nepal for the Internal grant.